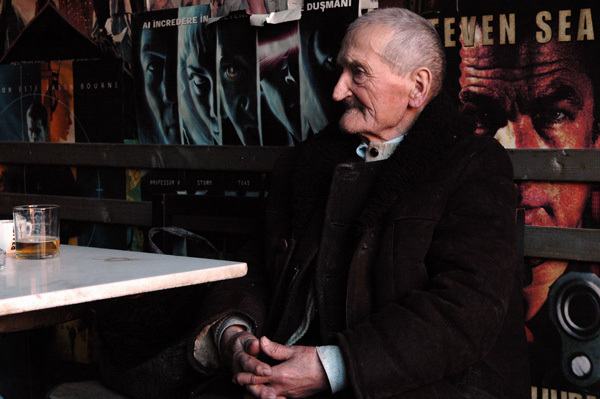 I’ve seen this old man in Cluj Napoca, in a pub (Art Club), near the bus station. He seems a little bit ‘out of place’, i think he just wanted some warm place to sit down. This was taken on a sunny day with the clear impression that spring was getting closer and closer. 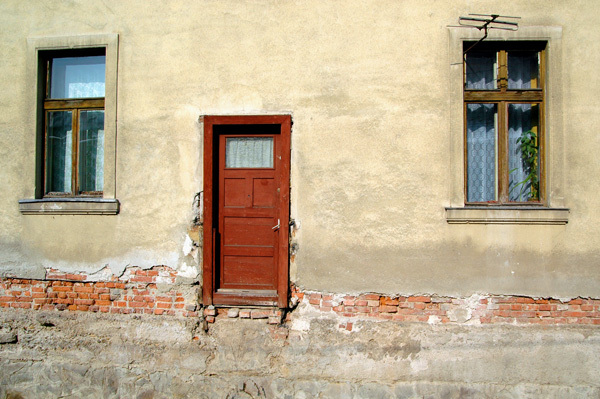 I saw this door on a street from Cluj Napoca (Andrei Saguna) where I used to wander quite often. Even if the door feels like opening to nowhere, this is not an abandoned house (see next photo). Mark seems very lively in this photo. But unfortunately, he wasnâ€™t in such a good shape when I met him in Constanta, last summer. In fact, he was quite lazy. This is one of the rare moments when he showed us how graciously playful he can be. 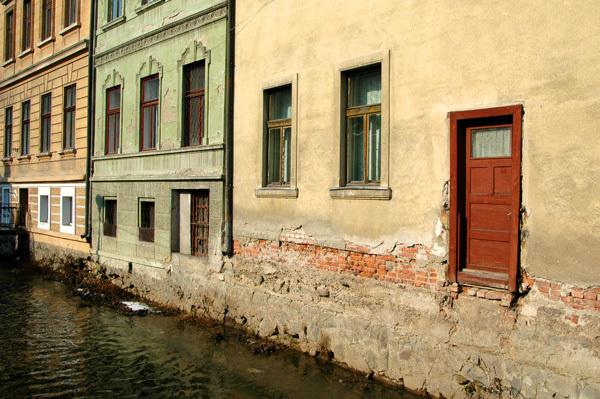 This is not something very common for the quiet city of Transilvania – Cluj Napoca. CFR Ecomax, local soccer team, managed to get into the Intertoto finals, but they were eventually defeated by the French from FC Lens.Â Iâ€™ve been to one of the two games. This shot was taken right from the middle of the noisy / passionate gallery where I landed accidentally. Not an easy experience to forget! Boglarka – a wonderful child – very quiet! Can’t say the same about the rest of the kids I’ve met at the seaside last summer!